Pictured, from left, are Warsaw Mayor Joe Thallemer, George Clemens and Jeff Grose. WARSAW—Business was booming at the Feb. 16 Warsaw Board of Public Works and Safety meeting. Citizens who want to attend these meetings but are busy themselves will now have the opportunity to watch them via video livestream. The board approved an agreement with BoxCast, a video streaming service that will offer a livestream of the meeting, with the goal of all city meetings eventually being broadcast. The videos will be kept in an online, public archive for 365 days after they are posted. The service would also be used to record training events. The service would cost $2,200 a year. A mobile app would also be included to allow city officials to use for press conferences and other important events. Mayor Thallemer clarified that these videos would not replace meeting minutes, but that they would benefit the community. The board also approved upgrading the council chambers’ AV system to prepare for the streaming service and to allow for better microphones in the room. The upgrade will include purchasing a mounted camera for the livestream, as well as a designated podium for citizens to speak at and address the board. A bid recommendation was made for reconstruction near the intersection of Clark and Colfax streets. The roads are near Lincoln Elementary School. The board wants to improve walkability within the neighborhood by realigning some of the sidewalks. A bid of $720,000 was approved, even though the board recognized that it was more expensive than originally projected. Engineers informed the board that prices and costs are going up everywhere since there’s a lot of work going on with community crossings. Brian Davison, utility manager, made a proposal from Christopher B. Burke Engineering for Eisenhower Basin Phase II. This phase would help channelize water through the basin. Davison said that flooding has stopped in the area because of Phase I, and that there may be a potential third phase depending on what is done in Phase II. The board approved the proposal. The Warsaw Parks and Recreation Department was also present to have contracts approved for two upcoming concerts in the summer. There is one country performance and one rock concert, with the rock concert hinted as being a national act. The performers will be announced on Monday, April 2. The board approved an updated advanced services agreement with MetroNet Phone System. A contract was approved for Chicago Dog House to cater the 2018 city employee picnic. An approval was made for a contract with Right Stuff Payroll Software, an automated method for city employees to keep better track of timekeeping and scheduling. The board approved of a speaker to come to Warsaw for wastewater training. Pay applications, accounting services and a legal services fee agreement were approved for the Warsaw Fire Department. Stagehand contracts for the Parks and Recreation Department were approved. Travel requests for city employees were approved. Special claims and the claims docket were approved. Meeting minutes for Feb. 2 were approved. 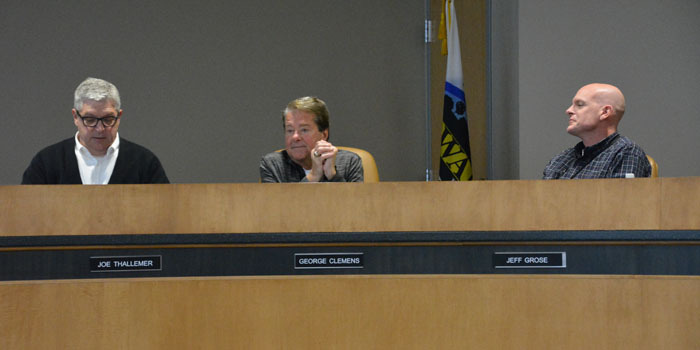 The next meeting will take place at 10:30 a.m. on Friday, March 2, in City Hall.